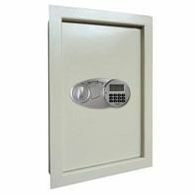 The toughest, deepest wall safe available today! 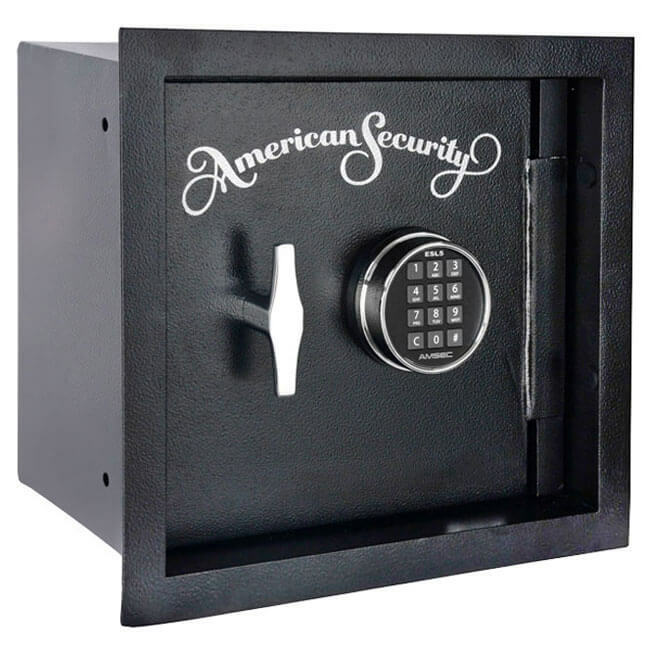 Strength and depth are the two features that set American Security's WS1214E5 wall safe apart from all the other wall safes. 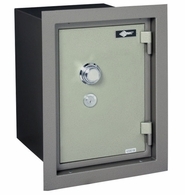 With an extra 6 inches in depth, the Amsec WS1214E5 wall safe is perfect for new construction or in existing homes where extra wall depth is available. 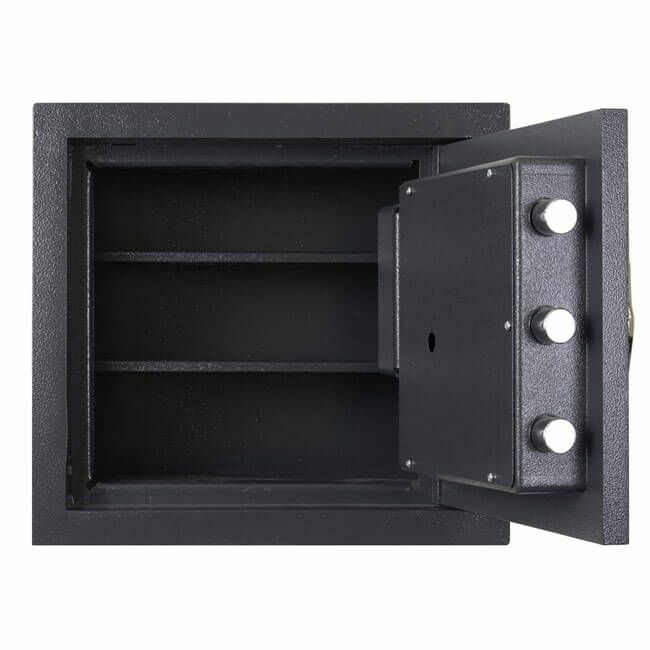 The safe is designed for easy installation between 16-inch wall studs with pre-drilled anchor holes and a built-in flange eliminating unnecessary replastering. 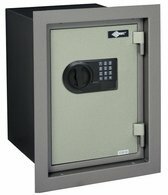 The Amsec WS1214E5 comes standard with the AMSEC ESL5 electronic lock and a 3/4-inch thick solid steel door. 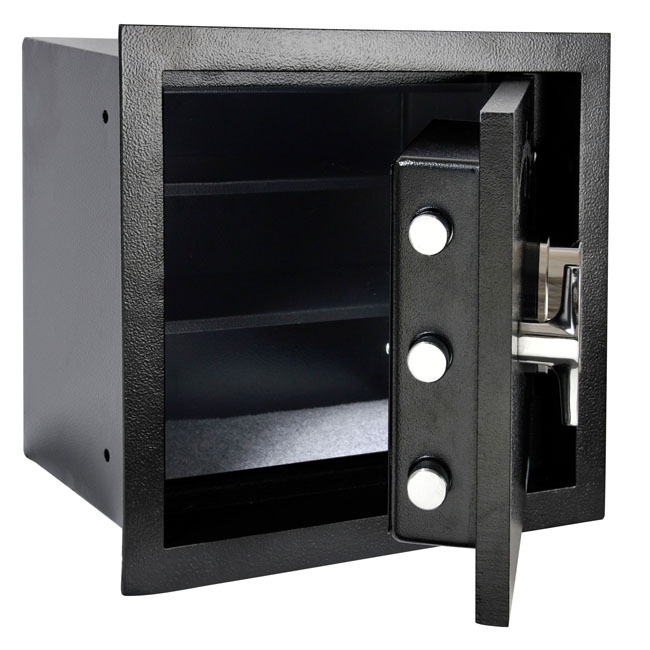 The safe has three 1-inch diameter chrome steel locking bolts and a large carburized hard plate to protect against punch attack. 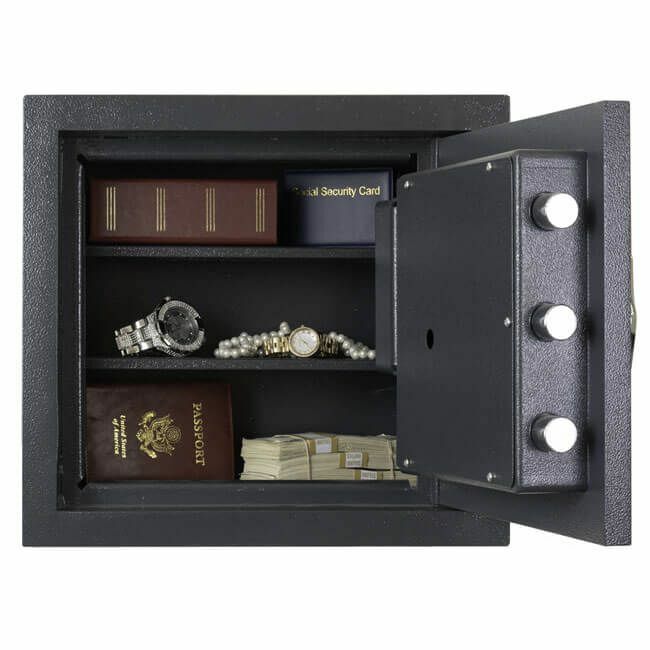 The wall safe also comes with one removable shelf and an attractive black finish on the outside. 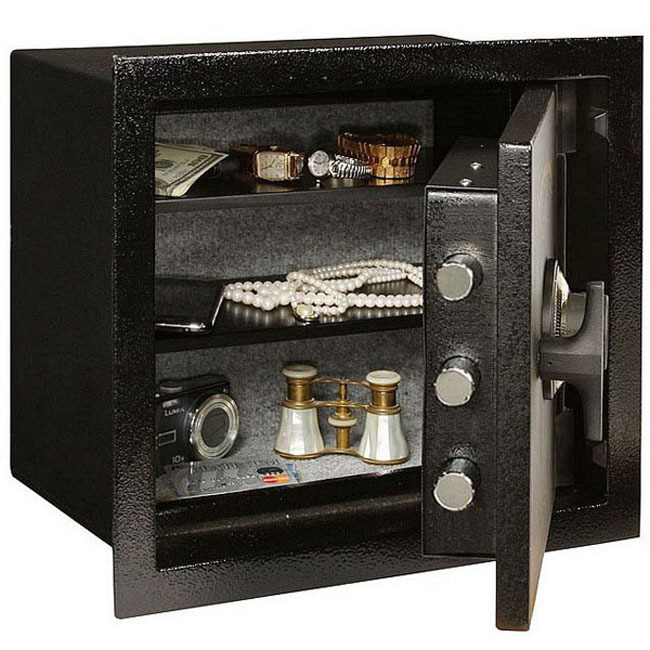 This unit is a California Department of Justice firearm safety device and qualifies for secure handgun and pistol storage.